The iPhone 7 is undoubtedly one of the most hotly-anticipated gadgets of the year. After last year’s iPhone 6s upgrade, tech fans are eager to see what the world’s most valuable company has planned for 2016. And even thought the official announcement is months away, there are a host of rumours already circulating online. 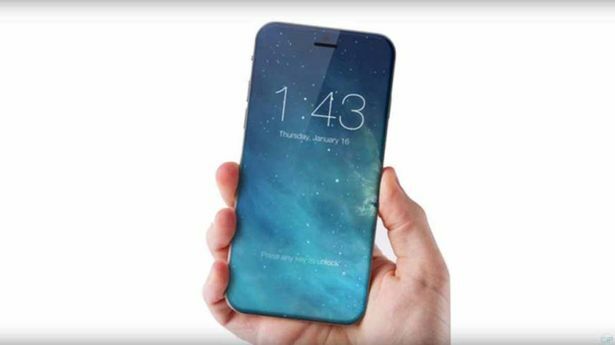 These include predictions and comments from analysts through to leaked pictures supposedly showing early prototypes of the new iPhone. Whatever Apple is building will have to work hard to keep pace with brand new phones from the likes of Samsung and LG. We’ve gathered together all the latest news surrounding the phone into one place and will continue to update this as we learn more. Taking Apple’s release date history into account, it’s likely we’ll see the iPhone 7 officially revealed in September 2016. 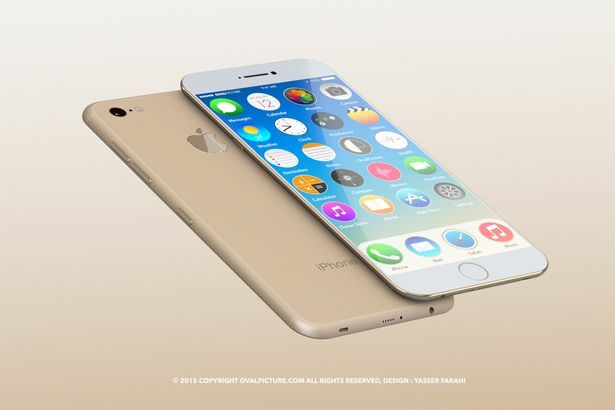 Both the iPhone 6s and the iPhone 6 were revealed in September and Apple has no reason to change its strategy. There’s also nothing wrong with taking advantage of Black Friday sales and the run up to Christmas. If we had to be specific, we would estimate the announcement date for the iPhone 7 being on a Wednesday or a Thursday in either the first or second week of September. The iPhone 6s announcement was held on September 9, 2015 and Apple could plan a repeat performance. Apple’s iPhone 6s has been a big hit for the technology giant – but it didn’t alter much when it came to design. That could be about to change as rumours suggest next year’s model may drop the iconic home button on the front of the gadget. Designers around the world are speculating on what Apple has planned and one artist, Marek Weidlich, has created an intriguing concept. Weidlich has turned the entire front of the futuristic smartphone into a screen – leaving no home button or any visible bezel. 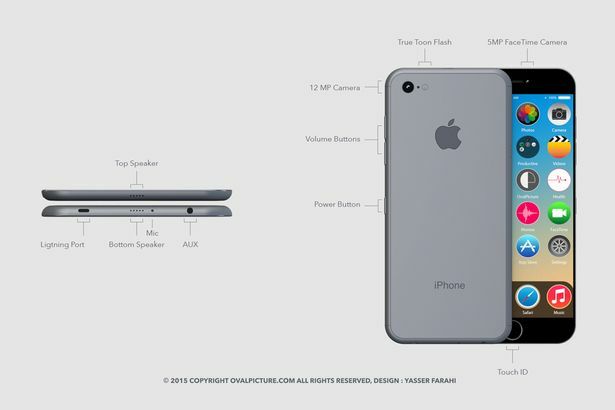 “I focused on simple design language which is very important for Apple,” Weidlich said. Both Samsung and LG have embraced curvy screens with the Samsung Galaxy S6 Edge and the LG G Flex 2 respectively. It’s unlikely Apple will follow suit but then the world’s most valuable company has frequently had a problem with bending phones. 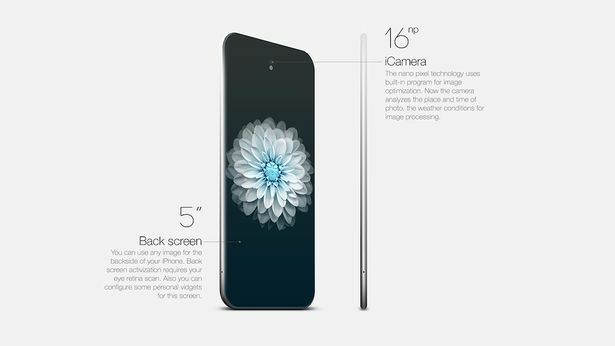 Apple’s last two releases have been with 4.7-inch and 5.5-inch screens. This covers a broad range and the tech giant could decide to keep things as they are. Fans have been infuriated by new which claim to show a drastic change in one of the key features of the iPhone. 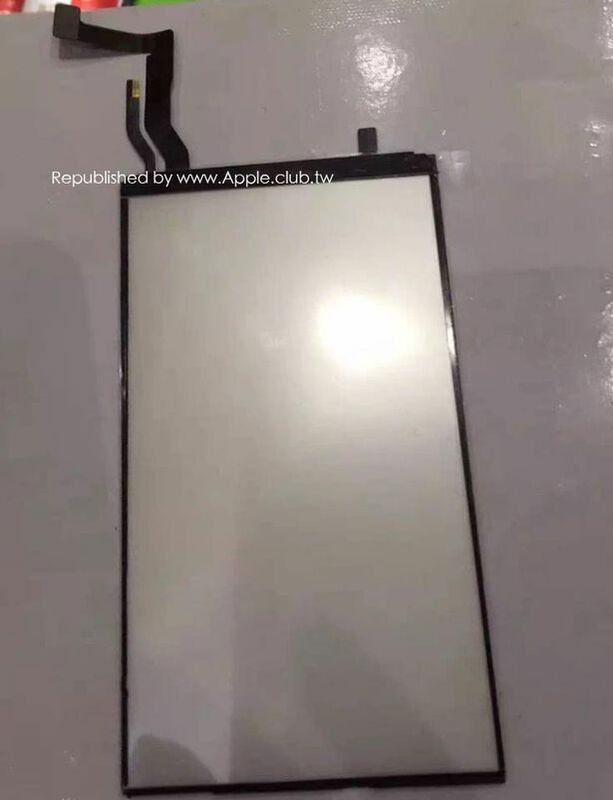 Pictures were obtained by the Taiwanese site Apple Club , which previously published the first schematics showing the protuding iPhone 6 camera lens, before being republished by 9to5Mac. They appear to confirm rumours that Apple is set to remove the headphone socket from the iPhone 7. If true, this will probably mean anyone who buys the next version of Apple’s iPhone will have to use wireless headphones or fork out for a pricey converter. In January, the usual shadowy “supply chain sources” told a Chinese website that the 3.5 inch headphone jack will not be included on Apple’s next mobile. 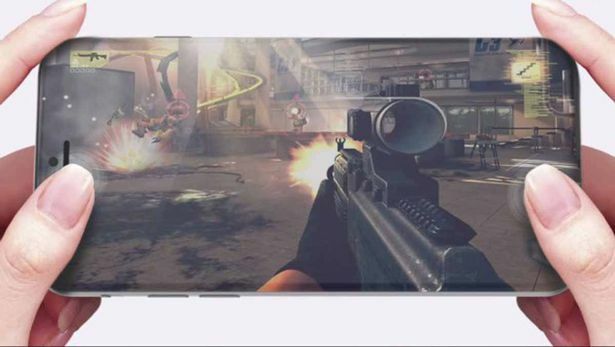 Recently, these rumours have been fuelled by images of a case for the new phone that apparently show no hole for the headphone wires. The pictures, spotted by Nowhereelse.fr after they were published on Twitter, seem to support the rumour that Apple will ditch the headphone socket. There’s no hole in the case for where a headphone socket should be – instead there are just spaces for the charging port and speakers. Of course, there’s no way of confirming the legitimacy of the case – but it serves as an interesting indicator for a potentially big design change. Tech experts reckon that by removing the headphone socket, Apple engineers will be able to shave 1mm off the thickness of the phone. Because the new iPhone will likely arrive with Apple’s yet-to-be-confirmed iOS 10 software and an upgraded processor, it will offer even more power and better efficiency. Likely to be boasting a processor called the A10 chip, the iPhone 7 will surely boast more power – although it’s anyone’s guess as to how much this will translate into actual usage. At the moment, we don’t know what kind of battery the iPhone 7 will use – but at least there’s now a Low Power Mode built into iOS 9 to help it last even longer. We expect this will continue into an updated version of iOS. According to Korean site ETNews, Apple is currently in discussion with arch-rival Samsung over supplying OLED screens for its next phone. This would shift the display over from the current LED model to a much more vibrant OLED screen. Such a move would likely make for better colour reproduction for videos and games, but might hamper battery life. 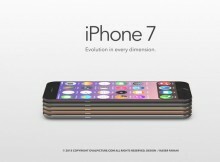 However, one change could be a huge boon for Apple fans. The misery of dropping your iPhone down the toilet could soon be over as the latest rumours suggest Apple’s next iPhone could be completely waterproof. 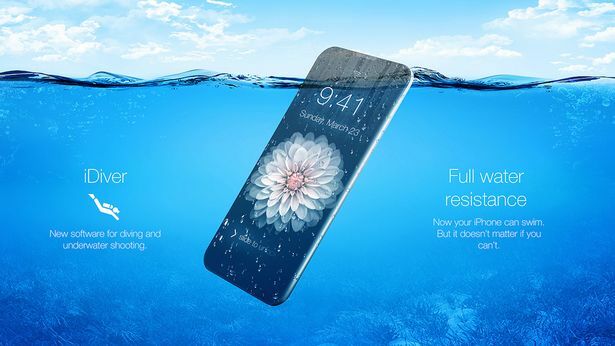 According to a report in the China-based Commercial Times , Apple is working on a new “compound material” that repels water for use in its forthcoming smartphone, which it is thought will be called the iPhone 7. This new material will also reportedly remove the need for the two strips of plastic that run across the back of the current generation of iPhones to allow mobile signals to reach the antennas. This suggests that the body of the next iPhone may not be made from metal at all, but some other kind of material that allows radio waves to pass through it. 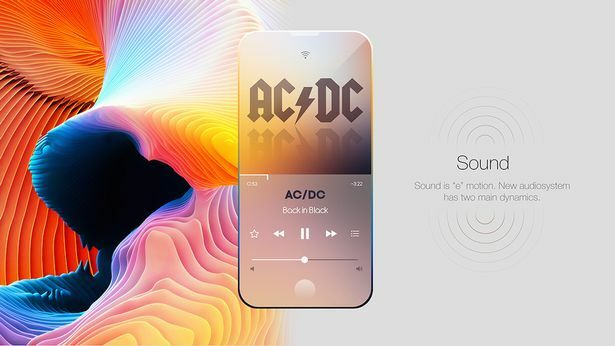 Industrial designer Herman Haidin has taken a stab at predicting the next version of Apple’s handset and reckons the American tech giant could use a material known as ‘liquidmetal’. Apple acquired a patent for liquidmetal back in 2010 and uses it to make the small SIM ejector tool that comes in each iPhone box. The material itself is a type of alloy that’s tougher and more water-resistant than typical aluminium. 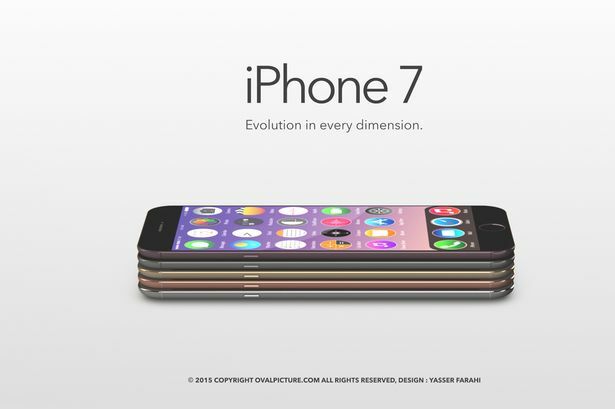 In the concept, Haidin envisions the iPhone 7 as a mere 3mm thick with a body formed of glass and liquidmetal. There has also been some suggestion that the iPhone 7 could include a cutting-edge technology known as LiFi, that is capable of transmitting information at 100 times the speed of WiFi. However, this is unlikely, given that LiFi is still in the early stages of development, and researchers don’t expect it to be ready for commercial use before the end of the decade. It’s unlikely that Apple’s main iPhone 7 will be any easier on the wallet than past variants. Most experts reckon the new iPhone will start at €659 for a 16GB model, effectively taking the place of the current iPhone 6s – which will see an incremental drop in price. If true, we could expect other models with larger storage – 64GB and 128GB most likely – to stick with the €769 and €869 prices. 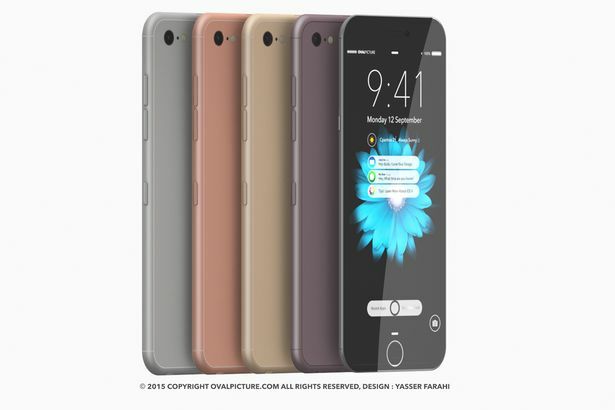 Next Next post: Apple iPhone SE vs iPhone 6S vs iPhone 6: What’s the difference?